PPB’s resident Italian chef, Cathy, is an expert at all things cookery but especially her own native cuisine. Sandy learned to cook like an Italian as soon as she learned that her fiancee’s name was Italia Troianello. 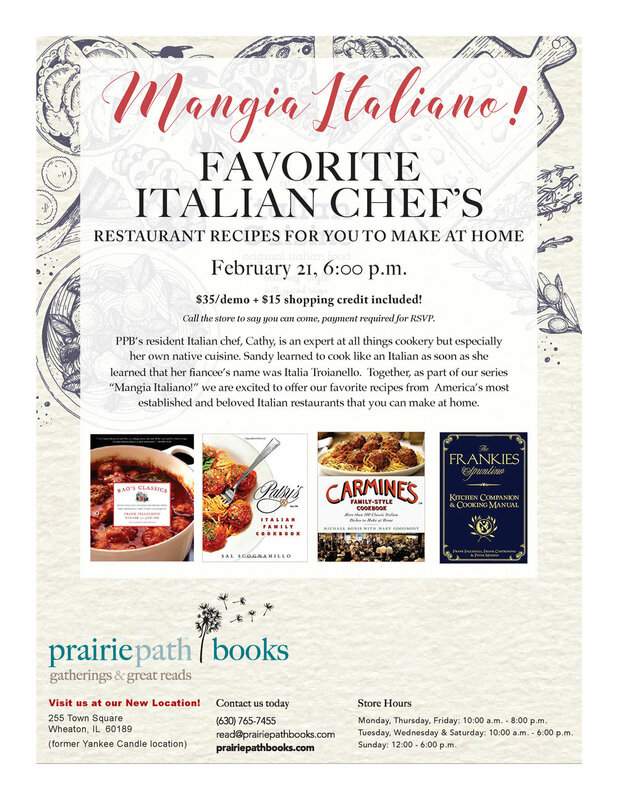 Together, as part of our series “Mangia Italiano!” we are excited to offer our favorite recipes from America’s most established and beloved Italian restaurants that you can make at home. Call the store to say you can come (630) 765-7455! Payment required for RSVP.